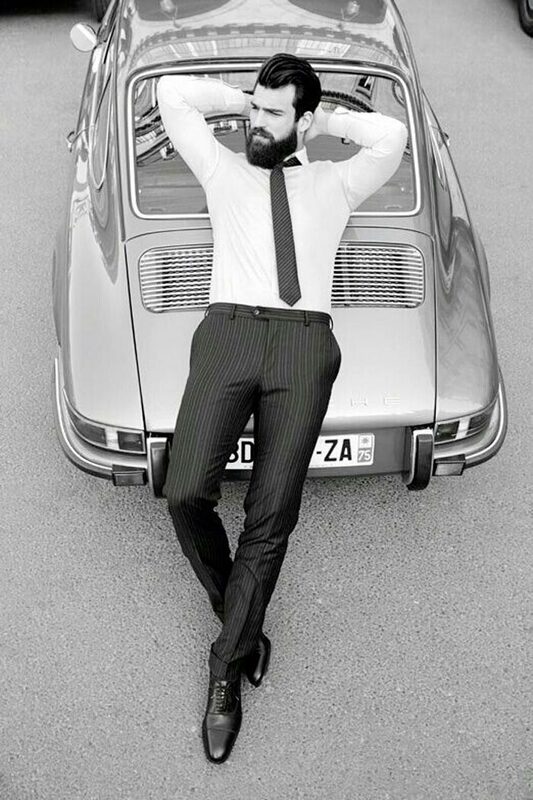 Open any men’s lifestyle or fashion magazine today, and you’ll find that most featured models are sporting a beard or moustache. Have a look at trending celebrities – David Beckham, Ryan Gosling, Bradley Cooper – and what is it that you notice first (apart from their good looks)? Beard! Of course! So, if you want to jump on the bandwagon and grow one, you will need to learn a thing or two about grooming and maintaining a beard. In regards to the latter, here are a few suggestions from our side. 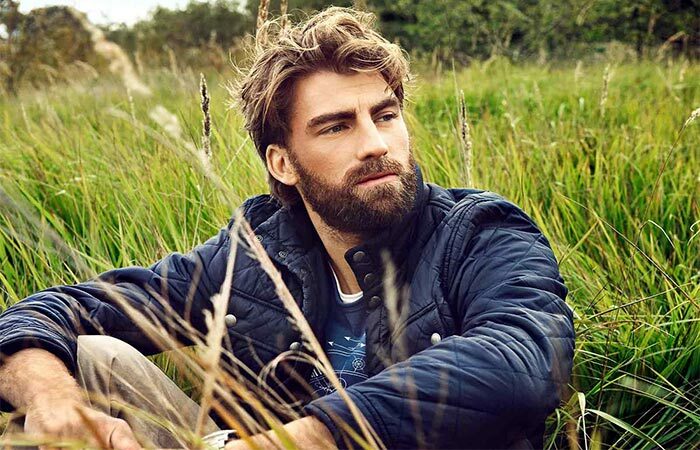 If you don’t want to have the grizzliest of beards and would like a properly styled one that is nice to touch and look at, you will need to get yourself some products. 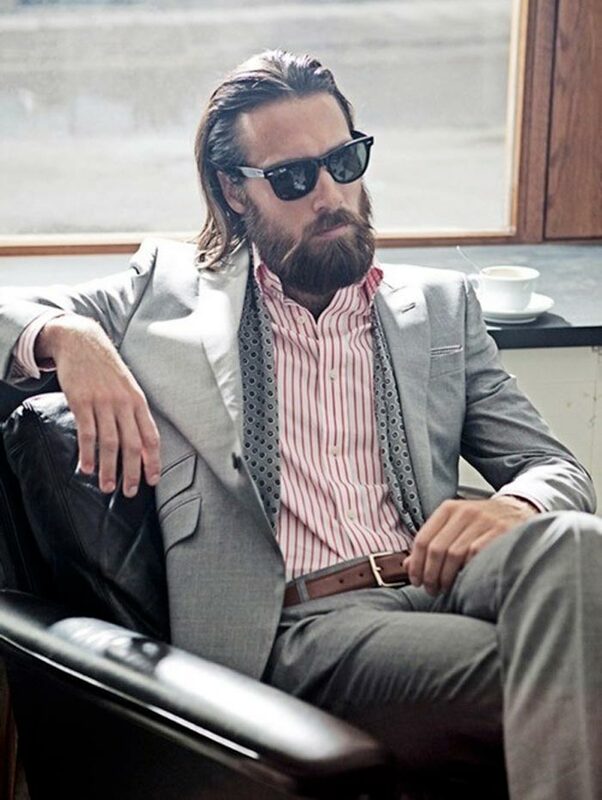 Maintaining a beard should involve a lot more than just trimming it. 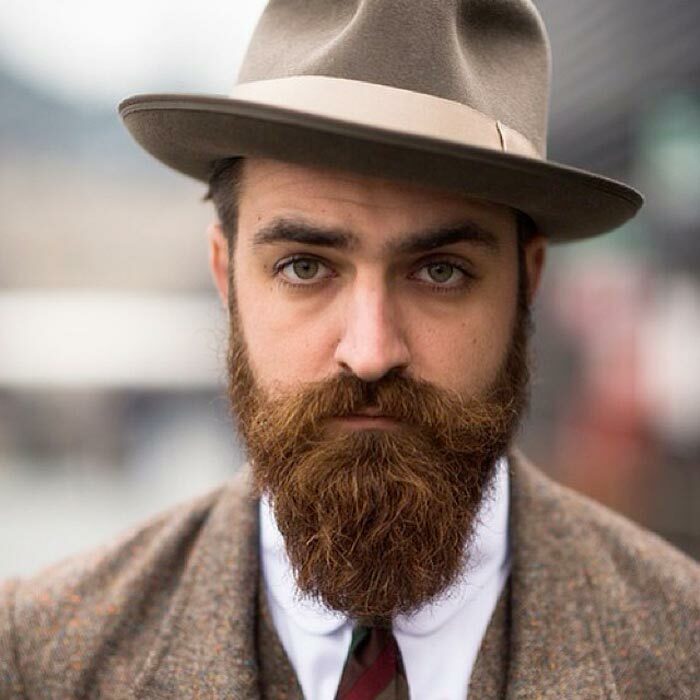 As the author of one of the beard growing articles says: “Just like the mop on top of your head needs to be taken care of, so does the mop on the lower half of your face.” So, why don’t you start with beard oil? 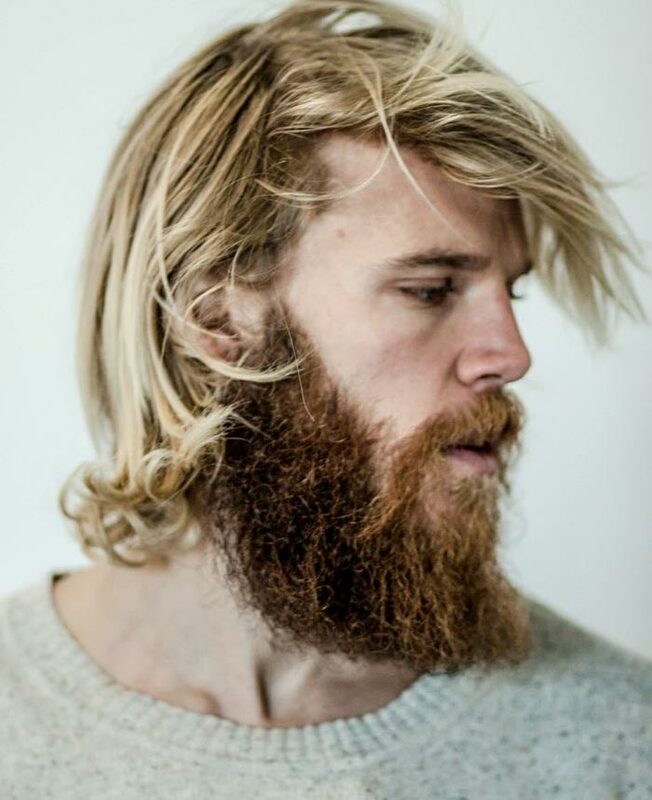 Why not make your own instead of spending money on expensive brands which are just capitalizing on the latest beard craze? 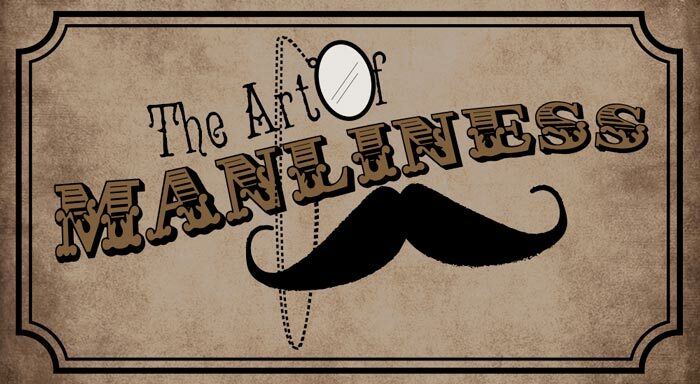 Art of Manliness offers a beard oil recipe that involves mixing carrier oils (jojoba, argan, coconut, almond or hazelnut) and essential oils (cedar, peppermint, lemongrass, amla, cedarwood). You can mix a few carrier oils (1 oz of each) with any essential oils (add 10 drops), put them in a bottle, shake vigorously and, voila, beard oil is made. Remember that, although the initial costs of making a beard oil are somewhat higher, in the end, your per-bottle cost will probably be between $2 and $3 if you stick with homemade beard oil recipes. Now, the following recipe is probably the easiest and quickest out of the aforementioned ones. DIY Gifts for Men presents you homemade beard oil that literally takes minutes to make. All you need is three drops of Tea Tree oil, two or three drops of eucalyptus essential oil and sweet almond oil. Mix together, shake vigorously and store in a dropper bottle. That’s it! Done! Simple, quick and incredibly efficient. It will keep your beard manageable plus it will moisturize your skin. This beard conditioner works best if you rub it into a moist but not dripping wet beard. It is also good for your hair, too. You can experiment with beard recipes and make the one that fits you the most. We have one more DIY Beard Oil Recipe you should check out. What’s great about this one is that the recipe is very flexible and you can use substitutes for all the ingredients. This way you can experiment with scents and properties of essential oils, choose the ones that work best for you. For the original recipe, you’ll need 15 ml of jojoba oil and 5ml of each argan, apricot kernel and sunflower seed oil. You measure them and add 5-10 drops of sandalwood essential oil. And that’s it. Use this oil after a shower of after you’ve washed your beard, while it’s still damp. The oil is quickly absorbed and it will hydrate your skin and beard. Sandalwood will make your beard smell wonderful, but you can use other essential oils if you prefer some different scents, like rosemary, cedarwood, or spruce. It takes no more than 10 minutes to make your own beard oil. We Beard featured a few cool DIY beard recipes. The one we chose is the Black Forest. It has a manly, woody scent, it’s very easy to make and it will take you no more than 10 minutes. You’ll need carrier and essential oils for the mixture. Get a 30ml bottle and add 17 ml of grapeseed carrier oil and 10 ml of organic jojoba carrier oil. As for essential oils, add 3 drops of lavender, 2 drops of eucalyptus, 2 drops of fir needle and 2 drops of lemongrass. Simple as that! Make sure to mix everything well before applying to the beard. Just like most beard oils, it’s best to use this one when the beard is damp. You can use it every day to make both the beard and the skin beneath it soft. And it will leave a fresh woody and mountain grass scent. SoapDeliNews has another interesting recipe for beard and moustache wax. The ingredients are all au naturel: white beeswax, a mix of Cedarwood and Sage oil, fractionated coconut oil and natural Vitamin E oil. This recipe involves a bit more preparation, but we bet that the results of using this concoction are excellent. Beauty by the Geeks are bringing to you a beard balm recipe for that will “tame your facial tresses and soothe any winter itches”. The ingredients for this balm are similar to the aforementioned recipes and include: beeswax or vegan plant wax, shea butter, jojoba oil (you can use sweet almond oil too), argan oil, Vitamin E oil or capsules and vanilla essential oil. You can mix and match various oils in this beard balm recipe. So, for instance, you can combine sandalwood and cinnamon oils to give you that spicy aroma, or add eucalyptus oil which is great for sensitive skin or maybe add peppermint oil which is a fantastic anti-itch ingredient. If you’re not too keen on using solely oil-based conditioners, we highly recommend that you try beard balms which are made from beeswax as the base. Speaking of beeswax, did you know that this is the best possible wax for making beard conditioners because it gives beard its hold, it is packed full of Vitamin A and has a wonderful scent. It doesn’t take long to melt it and it re-solidifies rather quickly. The following recipe is brought to you by Grow a Beard Now. All you need is beeswax, shea butter, jojoba or almond oil, argan oil, Vitamin E oil and vanilla oil. Also, get one of those candle-making pitchers which are essential for making this wonderfully scented balm. You will need to melt all the ingredients in a pitcher, starting with wax and shea butter first. Make sure that you stir constantly (do not boil the mixture). When the two completely melt, slowly add the oils, remove from the heat, pour it into a jar and leave it to solidify. Also, a word of warning – the jar needs to be warmed up in hot water before you pour the mixture in, otherwise the glass might shatter. 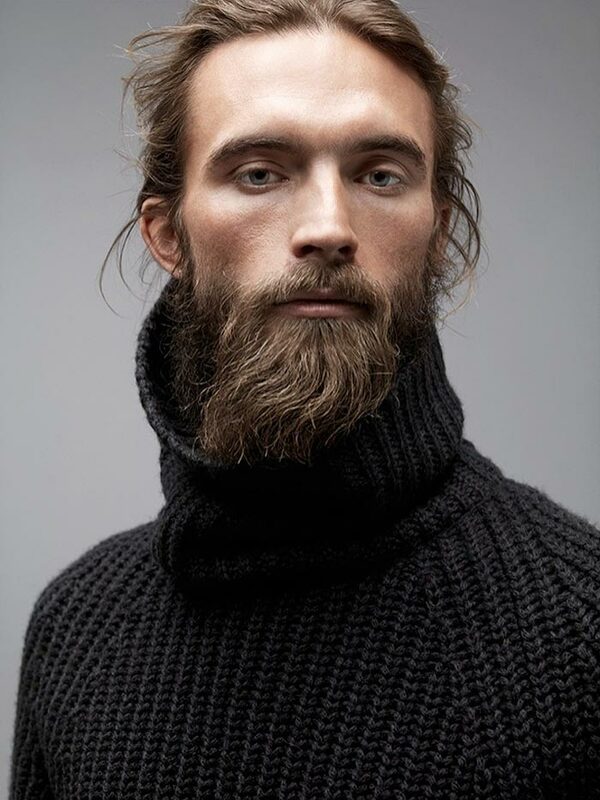 Marie Rayma, who runs the website Humblebee & Me, acquired the recipe for this beard conditioner recipe from an aspiring Scottish model called Ryan whom she met at Glasgow Airport. He apparently swears by it and Marie, being a DIY aficionado, could not resist but to try it. She named the balm Cedar Smoke. The recipe contains the beneficial beeswax, shea butter and oils like rice bran, hemp and broccoli seed. They all work together to impart moisture while the latter one has a silicone-like effect that will make your beard so smooth and shiny. The best container to store this beard conditioner is a tin. So, here is the recipe: melt the beeswax, shea butter, rice bran, broccoli seed and hemp oil over low heat. Once liquid, stir in the essential oils of your choice and pour into a 30ml (1 oz) tin. To use, just rub in a small amount into your beard or moustache. You have probably noticed that we have been frequently mentioning argan oil as one of the essential ingredients for a quality beard balm or conditioner. Argan oil, as well as jojoba oil, are popular ingredients for a simple reason – not only will they condition your skin, but your beard will be very soft and not at all greasy or oily. They absorb very quickly and are best used after the shower. Here is yet another simple, yet amazing recipe for conditioning beard oil, courtesy of Fresh Picked Beauty. You will need 15 ml of argan oil, the same amount of jojoba oil, and the following essential oils: sandalwood (seven drops), cardamom (four drops), grapefruit (four drops) and bergamot (three drops). Mix, shake well and store in a dropper bottle. Now, the following beard balm is the Schwarzenegger of beard balms. It is ‘the manliest of them all’ because it contains bourbon or rather bourbon fragrance oil, in addition to cedar and rosemary oil. Rachel of Transient Expression created one for her husband as a Christmas gift and called it “Whiskey & Woodsmoke”. We are sure she won’t mind if we pass it on. The ingredients are the following: coarsely chopped beeswax, shea and cocoa butter, and sweet almond and jojoba oil. For the scent, add bourbon oil, cedar essential oil and rosemary essential oil. Melt the ingredients in a tin, add generous amount of water to cover the ingredients and heat until everything liquefies. Stir, add essential oils, stir some more and pour your balm in a glass jar, allowing it to cool. 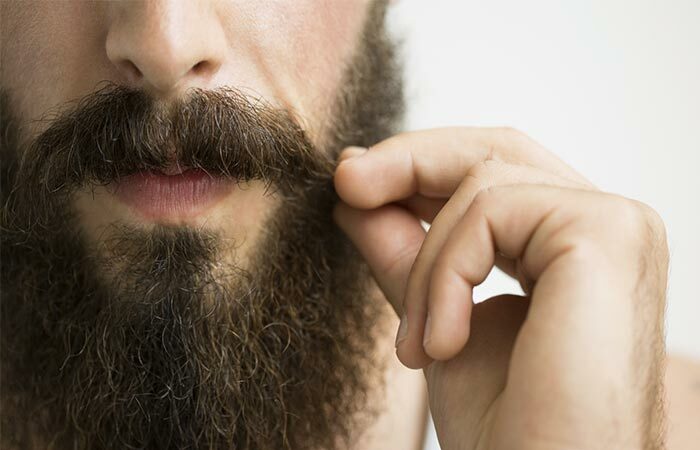 The next concoction, brought to you by The Hippy Home Maker, will “soften those scratchy hairs and moisturize the manly face.” Again, just like with most beard conditioners, it is oil-based, completely natural, easy to make and we bet rather effective. The Hippy Home Maker’s recipe involves mixing the base carrier oil, like almond, hemp, avocado or grapeseed with jojoba oil and extra special carrier oil (those are usually argan, pumpkin sin or Rosehip seed oils). You mix all of these in ingredients in a bottle with a dropper, and your home made DIY beard conditioner is ready. If you are really not a do-it-yourself chemist and have no time to roam organic shops, looking for essential oils, shea butter or beeswax, why not resort to already made beard balms and conditioners? The following one is an all natural, leave-in, vegan friendly beard balm that is made from organic oils and butters. 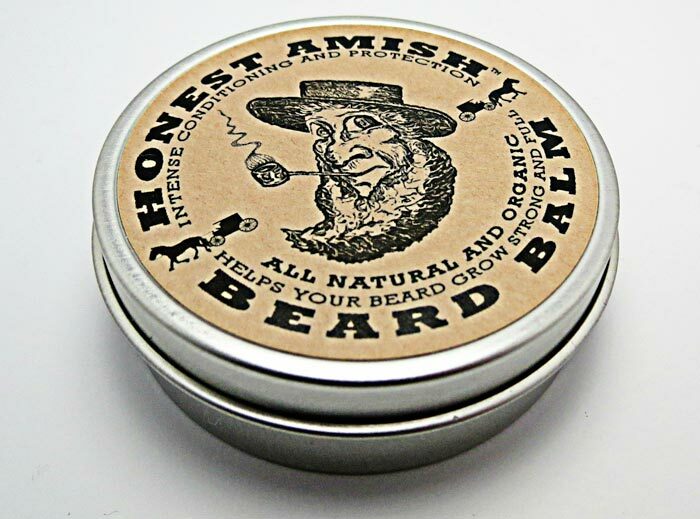 It is called Honest Amish Beard Balm. It is affordable, makes coarse and rogue hairs soft and manageable and stops the itch of new growth. The manufacturers of Honest Amish Beard Balm (by the way, we love the name) claim that this is the most trusted brand for beards in the world. The balm contains the finest organic ingredients like virgin argan, avocado, grapeseed, virgin pumpkin seed and apricot kernel oil. It also has wonderfully scented fruit and nut butters like shea butter, aloe, cocoa and kokum, as well as hair nourishing essential oils. And how about this for a guarantee – the manufacturers claim that this is the top beard conditioner you have ever used. If you disagree, simply return the product and your money will be refunded. Last but not least, the balm has no artificial colours or preservatives and is packed in a completely recyclable tin. 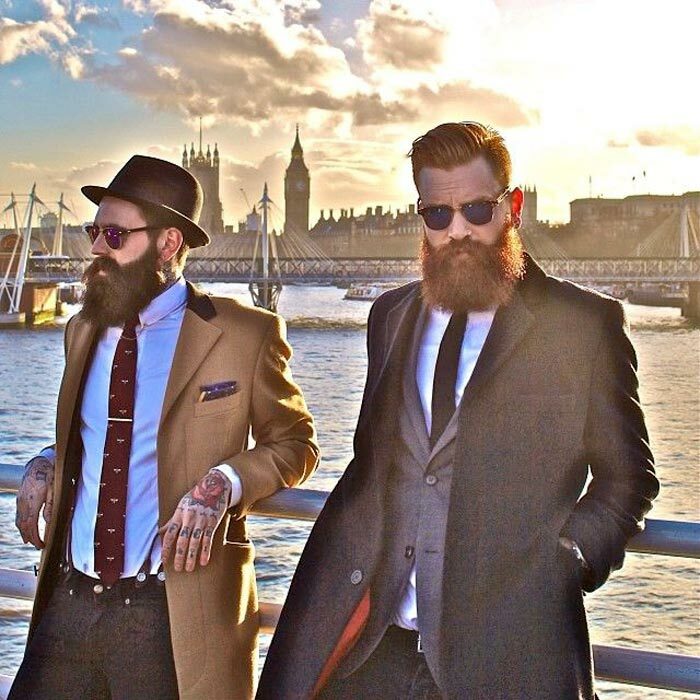 So, take your pick and make your beard or moustache worthy of a second look and admiration. Here is to No Shave November! 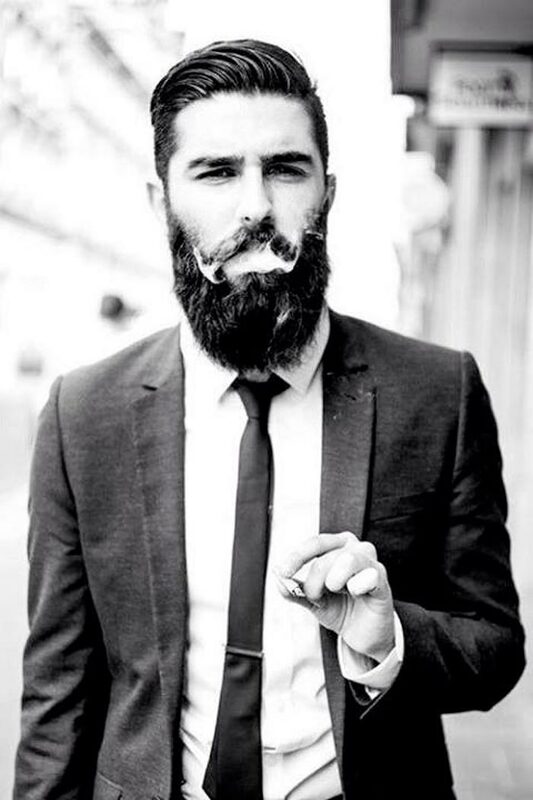 Watch the video below to learn how to apply beard oil.